Gold Clip Brooch with Double Prong Style Clip. Art Deco Tutti Frutti Clip Brooch having a Flat Style Clip with Pins. 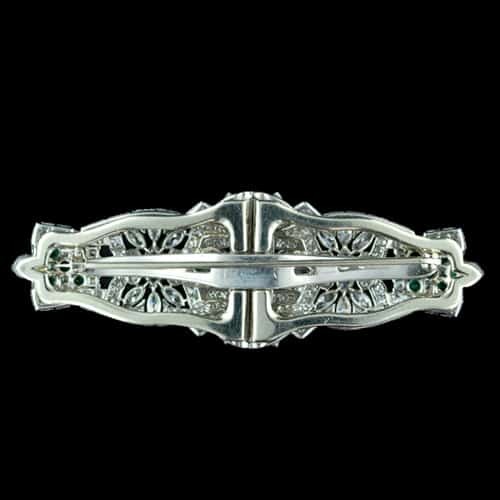 A dress clip is a type of brooch that attaches with a clip-style back. There are two types of clip backs, one is a double prong hinged clip with sharp points that can pierce the fabric like a standard pin, the difference being that there are 2 of them. 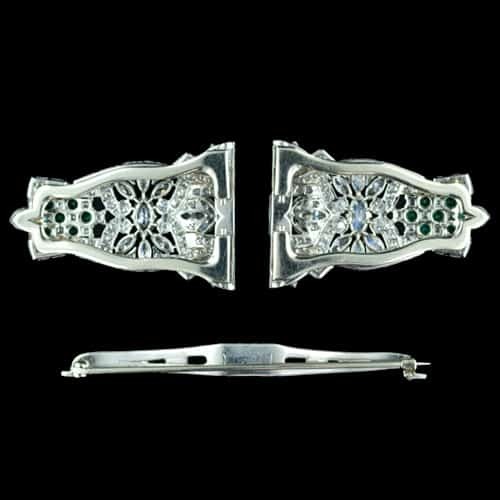 The other type of clip back is a flat piece of metal, either triangular shaped or shaped to follow the outline of the brooch, that holds to the fabric by tension with the help of small pointed metal pins notched out of the clip and bent inward or soldered on. These are sometimes elaborately decorated with pierced designs or engraving. 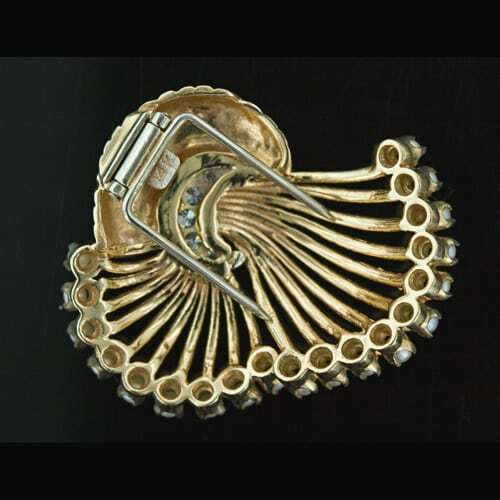 A double clip brooch is a brooch with two matched or complimentary clip brooches held or linked together by a framework forming a larger brooch. 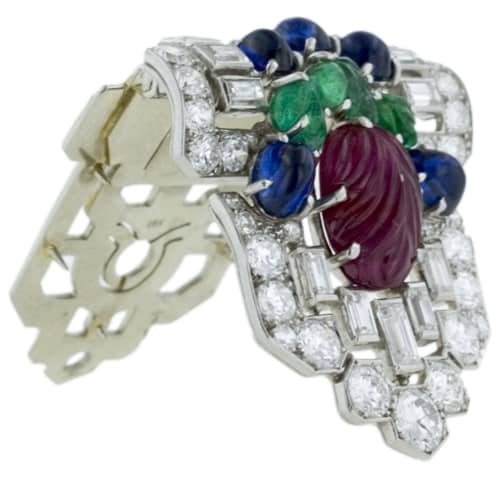 This versatile style can be worn as one large brooch or, with the frame detached, as two smaller brooches. 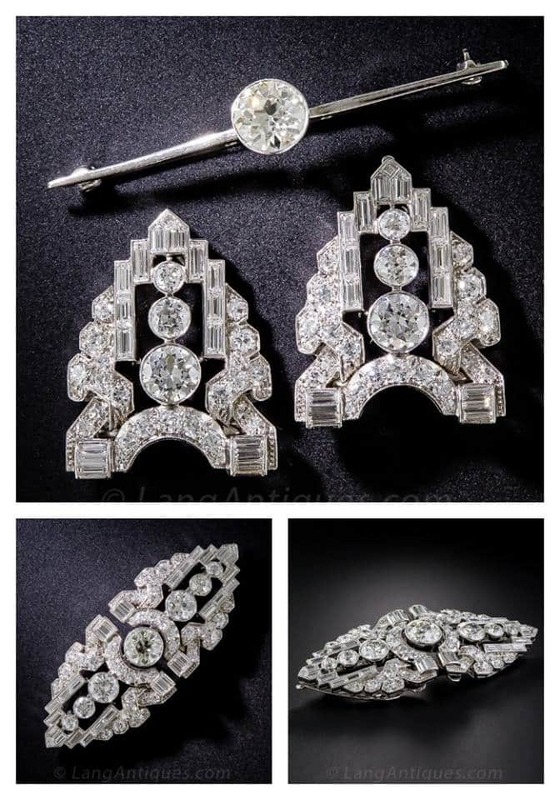 An ingenious twist on a pair of classic Art Deco double clip brooches. 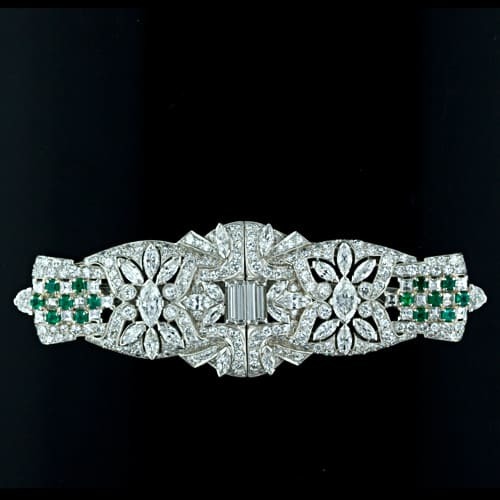 Instead of parallel lines meeting in the center to create the brooch, a super sparkling 1.80 carat center European-cut diamond, attached to the bracket, serves as a high-voltage centerpiece (and it may be worn alone as a solitaire diamond bar pin). 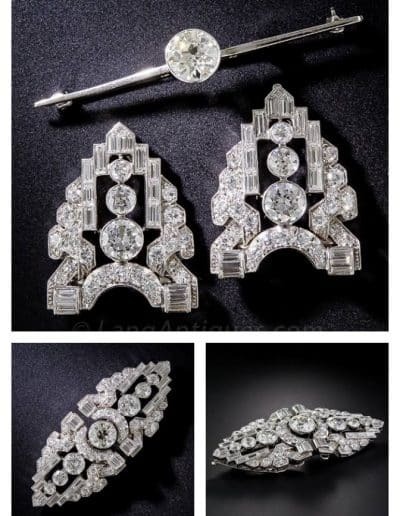 Art Deco Double Clip Brooch.